"If you have any back or neck problems, this is the place to be!" "I would highly recommend this practice to anyone considering seeing a chiropractor!" "The staff is great. Very professional and friendly." "Outstanding professionalism, great facility and they all know what they're doing." " I feel welcomed upon entering and invigorated when I leave." Join us during our seminar for an opportunity to learn about cutting-edge procedures from the area's leading regenerative medicine doctors. Whole Body Healthcare is known for its cutting-edge sports medicine, rehabilitation, and non-invasive corrective approaches. We believe in using the most effective natural treatments and comprehensive methods to help our patients experience a turnabout in their health. The latest scientific developments in regenerative cell therapy for orthopedic conditions. The risks vs benefits of surgery compared to regenerative treatments. The causes of joint degeneration and arthritis and how you can reduce pain and inflammation without using drugs. How regenerative cell therapy works with injured muscles, ligaments, and joints. What to look for when considering this approach. No prolonged recovery or down time. If you or a loved one has been suffering from acute & chronic neck, hip, knee, shoulder, or other joint pain, you may be a candidate for this breakthrough therapy. Our seminar is designed to give you everything you need to make an informed decision about your treatment options. Contact us at 443-552-552 to see if you're qualified and set your reservation today! Whole Body Healthcare has offered natural, nonsurgical therapies to heal and reduce pain in the Baltimore, Maryland area for more than 20 years. Along with a team of chiropractic doctors, the staff includes nurse practitioners and rehab techs all who coordinate care to help you feel your best. 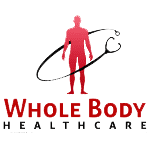 The nurse practitioners, chiropractors, and medical professionals at Whole Body Healthcare commonly provide natural treatments for bulging discs, neck pain, back pain, sciatica, fibromyalgia, plantar fasciitis, headaches, and migraines. Using the latest treatment technology in trigger point injections, joint injections, dry needling, physical therapy, exercise, muscle skeletal stimulation and chiropractic adjustments, the experts at Whole Body Healthcare ease your pain without surgery or medication. Your doctor discusses your personal treatment plan with you and speaks openly about the risks, costs, and benefits involved with each treatment. Every member of the highly-trained staff strives to care for your health in a friendly, welcoming environment. But even when you’re not at the office, the medical staff work with you to take an active role in your treatment, promoting at-home habits and self-care to improve your treatment outcome. Whole Body Healthcare has been serving the Baltimore community for almost two decades! We offer free consultations for our patients. Dr. Dorn was selected as a Top Chiropractor in Baltimore for 2018 by The International Association of Chiropractors! At Whole Body Healthcare, we care about every patient. Please call our office if you have any questions about your payment plan, or the insurances we accept! "The massage water table is HEAVENLY! !! I would definitely recommend Baltimore Back & Pain Center to anyone that needs chiropractic care." "The staff is so friendly and eager to help you feel better. All of the equipment is top notch. The facility is clean and well kept. " " If you have back/neck/joint pain or injuries, you will find relief for your pain in their able hands. This is definitely one of Baltimore's undiscovered treasures!"